The children of the Westhouse Family saw an opportunity to help feed people in need... and took it. The children of the Westhouse Family saw an opportunity to help feed people in need and took it. HOLLAND - In Holland when things were warmer early in October, the Westhouse Family was at the Farmers Market when the kids saw some donation bags. Shoppers can fill them with food for a local pantry. The kids grabbed a bag, went home, and put up a lemonade stand to fill that bag. 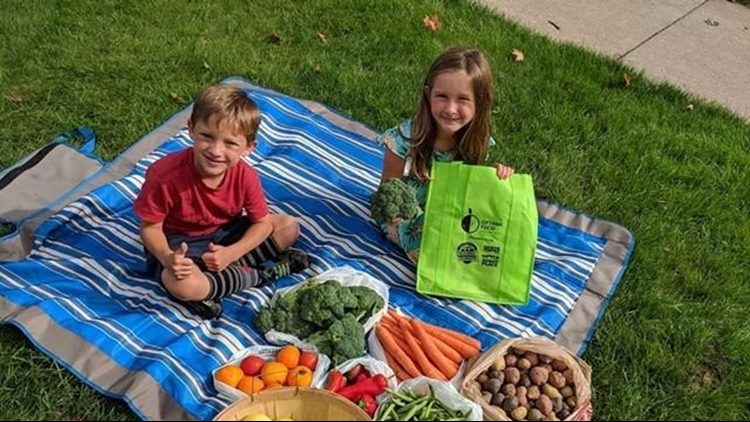 They raised $50, went back to the Farmer's Market, and filled the bag with healthy produce, which they then brought personally to Community Action House—an organization that helps distribute the food. For seeing a way to help people in need, then raising money to make it happen, the Westhouse Family—especially those kids—get today's One Good Thing. If you have a One Good Thing you'd like to submit—someone or something that makes West Michigan a good place to live—email me with your photos and-or video at OneGoodThing@13OYS.com.